Tickets available here beginning 5/3 at 9 a.m.
Brad and Jennifer Moranz present a musical tribute to the men and women of the armed services. 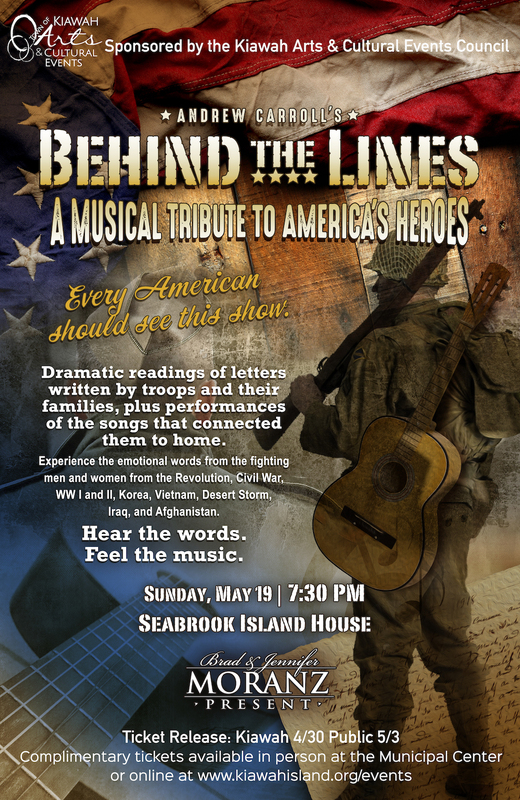 A talented cast of actors, singers and musicians perform music that inspired and connected soldiers to home with dramatic readings of letters written by troops and their families. Experience the emotional words from the fighting men and women from the Revolution, Civil War, WW I and II, Korea, Vietnam, Desert Storm, Iraq, and Afghanistan.